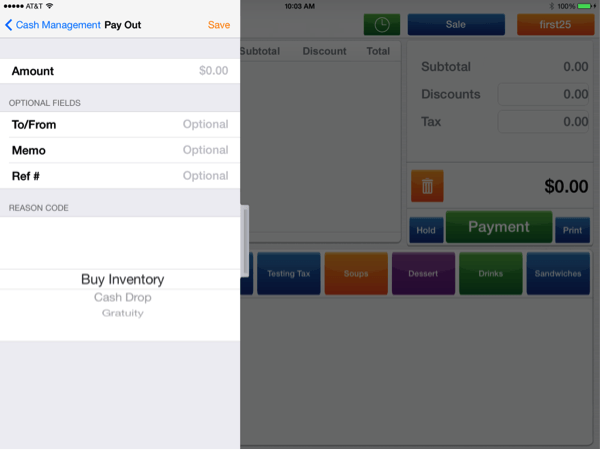 Cash Management allows the merchant to put cash in and take cash out to keep the cash register balanced. Click on the bar to the left to access a pull out menu. Click Cash Management. The merchant must enter the amount of cash being put in the drawer at the beginning of the day by using Opening Cash. 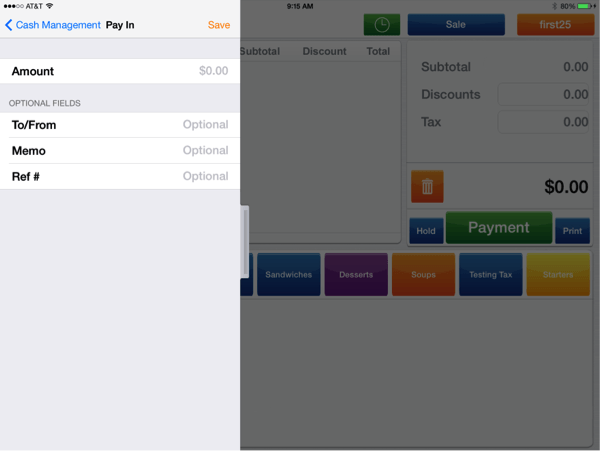 The merchant can put the exact bill denominations and click Done. "Pay In" is used for adding additional cash to the register. Enter the amount of additional cash being entered into the register and click Save. Pay Out is used if the merchant needs to take money from the register. 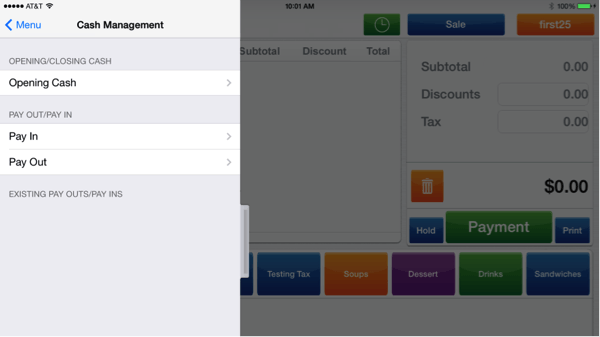 For example, they would use this option if they need to pay a vendor or pay out a gratuity to a server. Enter the amount being paid out and the reason. Click Save. When the merchant closes and balances the register at the end of the day, they will select Closing Cash and enter the amount of cash in the register's cash drawer. 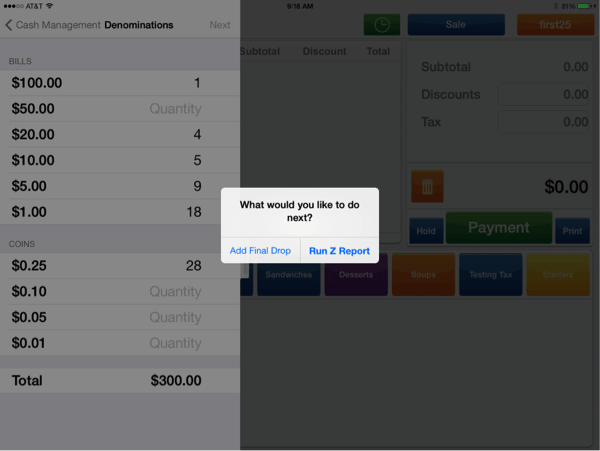 The merchant can put the exact bill denominations and click next. When the merchant enters the closing cash amount and clicks Next, they will be asked to Add Final Drop or Run Z Report. Add Final Drop will take them back to Cash Out; Run Z Report will reconcile the batch and erase the totals. Tip: This does not close the batch.